Looking for a places to stay in Warroad or on Lake of the Woods? You’ll find everything you need in Warroad. Because we want you to be comfortable during your stay in Warroad, we’re sure we have just the right fit for you. If you’re looking for the convenience of being right in town, we offer several motels and a city campground. Do you want to be closer to the lake? Many of our area resorts are located right on Lake of the Woods. Many resorts offer campgrounds including RV hook-ups, cabins, and trailers. Want to get right out there on the lake? In the winter you can rent sleeper houses or ice fishing cabins and be right in the middle of all the action. We also invite you to look through our listings for island stays. The variety of accommodations available offer a wide selection of amenities from the most basic to downright luxurious. Welcome to the Can Am Inn! We are conveniently located in downtown Warroad close to the Lake of the Woods, shopping, restaurants, and we are only a block away from the bike path. To ensure our guests experience a pleasant and comfortable stay, each room offers a flat-screen TV, refrigerator, microwave, air conditioner, iron, ironing board, hairdryer and complimentary Wi-Fi. We are also pet-friendly, so be sure to bring your furry friend along for the trip. We are committed to helping you start your day off right by offering you hot, fresh coffee accompanied by a cold breakfast bar. Whether it be for fishing, leisure, or hockey we are a clean and affordable place to stay. We are now locally owned and operated and pride ourselves to make your stay as enjoyable as possible. Hope to see you soon!! Historical home built on the Warroad River in 1914. Doc’s Harbor Inn is an elegant 104 year old home that offers great river views and a unique stay in Warroad. Doc’s has 4 private bedrooms, 2 bathrooms, full kitchen, living room and dining room. Doc’s also provides off street parking dock space, WiFi, Cable TV and access to the snowmobile trail. Morris Point Lake View Lodge is a full service resort offering plowed roads in winter and protected harbor in the summer. We offer a full menu serving breakfast, lunch and dinner. Sit around the bar and tell fish stories or unwind in the game room playing a game of pool with your buddies. Enjoy the scenic beauty of the lake whether dining or just hanging around. Our protected harbor is out of the wind, no matter which way the wind blows. Dock slips are available nightly, weekly or seasonally. We have a fish cleaning facility available for all our guests. Visit our website to view our summer and winter fishing packages. "3 Card Poker Available" during poker room hours. Download Our NEWSLETTER! Slim's Resort, a Northern Minnesota Resort Destination, offers comfortable facilities with a range of activities including charter fishing, ice fishing, walleye fishing, small boat rentals, access to snowmobile trails and more. We also offer cabin rentals on the Rainy River and ice fishing houses out on Lake of the Woods. Our Minnesota cabins come fully furnished with microwaves and charcoal grills to linens and towels! Guests enjoy amenities such as A/C, free WiFi and DirecTV on HD TV's resort-wide; break water that protects your boat at our private docks (free boat slips for guests) and an on-site convenience store for any forgotten items, ice, bait, apparel, tackle, etc... Gas is also available! The lodge's convenient Lund fishing boat rentals and experienced guides add to the enjoyment of the area's fantastic fishing. The Super 8 Motel offers all the comforts of home: complimentary breakfast, complimentary Grand Forks Herald Monday through Friday, high-speed internet, cable TV/HBO and guest laundry facilities. All rooms have refrigerators, microwaves, sinks, 27" TVs, hairdryers, coffee makers, and 8-setting massage showerheads in every room. Free Seven Clans Casino gaming coupons with each room. 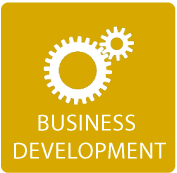 Call for group & corporate discount rates. Whether you are coming to town on business, for a hockey tournament, fishing, hunting or to enjoy the pristine wilderness area of Lake of the Woods, we invite you to stay with us at The Patch Motel. Our facility is more than just a place to stay, it’s your home away from home. While you stay with us your home includes a full service bar and lounge, large game room and gathering area, an in house grill as well as a place for quiet relaxation in our jacuzzi suites. Our newly added, luxury lobby offers a cozy place to gather and private office space with high-speed internet access. We are just steps away from the Patch Restaurant and Marvin Windows and Doors, and only minutes away from Lake of the Woods, specialty shopping and the famous “Gardens” hockey arena. Camping, RV hookups with electrical, water, sewer, cable TV, showers, WiFi hotspot and dump station. Shelters, picnic area, grills, boat launch, DNR floating fishing dock, boat docks, fish cleaning facility, playground, basketball court, unique outdoor sand bottom filtered pool, and bike path. Gift shops, sand volleyball, tennis court, restaurants and casino nearby. NEW: Fully furnished rentals at Warroad Estates Golf Course. Call and inquire about their "STAY & PLAY" packages! This 18-hole championship layout with a Par 72 – 6942 yard design features four sets of tees and offers plenty of hazards (water and sand) to test the more experienced golfer while still giving the beginner a fair chance. The golf course is open to the public and has a relaxed atmosphere that will make anyone feel welcomed. 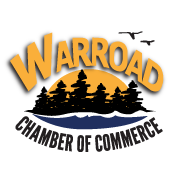 Warroad Estates Golf Course has a fleet of over 40 electric golf carts. This well-established golf course in northern Minnesota is 1 mile north of the intersection of U.S. Hwy 313 and U.S. Hwy 11 in Warroad, Minnesota or five miles south of the U.S./ Canadian border from Canadian Hwy 12.